WICHITA, Kan. – November 15, 2013 – For the 2013 holiday season, Cargill’s RUMBA meats is conducting an online contest for consumers who would like to share a photo of their favorite authentic, traditional-style dishes made with its products. The contest will run from Nov. 15, 2013 through Jan. 15, 2014, and is supported by on-pack labels featuring the promotional tagline: Keep Your Traditions Fresh – Spice Up Holiday Recipes With RUMBA Meats. The contest will be held entirely online at www.facebook.com/rumbameats, with the entry receiving the most votes winning the $5,000 cash prize. RUMBA products displaying the promotional message will include beef tongue, beef oxtails, beef honeycomb tripe, pork neck bones, pork tails, pork hocks and new Multivac® packaged beef items such as beef short ribs, neck bones, marrow bones and cross-cut hind shank. Developed in 2007 specifically with the tastes and preferences of multicultural consumers in mind, the Rumba brand consists of 30 fresh, never frozen beef and pork specialty meat cuts that are conveniently available in mainstream groceries. The convenient grab-and-go, easy-open packaging makes the Rumba brand consumers’ ideal choice for preparing their favorite traditional meals. 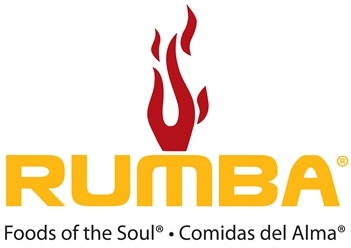 Rumba is a Cargill brand founded in 2007 as a line of food products that meet the unique needs of multicultural consumers. The product line currently includes 30 fresh, never frozen beef and pork meat cuts that are an integral part of the traditions and cultures of multicultural consumers (including Hispanic, African American and Asian populations). Rumba products are distributed throughout the United States and Canada. For more information, visit www.rumbameats.com.